The next International Architecture Biennale Rotterdam (IABR) kicks off on 23 April. A three-month program of exhibitions and events will highlight new directions in architecture, urban design and the city, encapsulated in the theme ‘Next Economy’. What can we look forward to? Beitske Boonstra spoke to Maarten Hajer, chief curator of the seventh IABR. Beitske Boonstra: The first question of course is: what is the ‘Next Economy’? Maarten Hajer: It is specifically not about defining the economy of the future. Quite the contrary, in fact. The guiding idea in this biennale is that we cannot know what the future will bring. What we do know, however, is that the current urban design system in the Netherlands has become problematic. For years we built in a speculative manner, and the upshot is vacant office buildings and vacant retail buildings. For years we centralized and scaled up our libraries, vocational colleges and universities. As a result, our libraries have lost their function in the neighbourhood, and places of education have become increasingly isolated from urban life. We coined terms like recreation area, business park, residential estate, ring road, science park — all based on functional zoning of the city — even though in our contemporary city everything revolves around interaction, innovation and exchange. So we need to find new concepts, new words to describe the city. This biennale will set that process in motion. You place a strong emphasis on the public domain. Why is the link between the public domain and the Next Economy so important? We cannot know what the future will bring, but we can investigate it. That’s why The Next Economy is not about the spatial impact of 3D printing, for example, or the self-driving car; it’s about the city’s ability adapt to unexpected developments. A strong public domain is the best guarantee of that. A city with a strong public domain includes places where people from various backgrounds can meet and inspire one another. Cities with a strong public domain are cities where people from widely different perspectives interact, exchange and influence one another. Multi-tenant buildings for creative entrepreneurs are a good example. And so too are places of education rooted in the heart of urban life, openly seeking interaction with the private sector. Today we also see a strong gravitation towards the city. The growing demand for city centre living means that people are willing to accept increasingly smaller homes. A consequence of that is the rising demand for collective urban amenities. So an intermediate zone is emerging between public and private. For example, quasi ‘living rooms’ in neighbourhoods, and cooperative live-work complexes such as Warmbächliweg in Bern or Holtzmarkt in Berlin. In the process, the relation between private and public is changing fundamentally, and that calls for another type of urban design. Another good example is the FabLab. This world-wide network was set up to familiarize ordinary people with IT and programming, so that they can become better organized. Started in Barcelona, FabLab has paved the way for new collective functions in existing neighbourhoods. No centralization or decentralization, but all sorts of new intersections and connections. Think of schools that really do offer neighbourhood facilities, creating an extra public domain alongside the physical-spatial plan of streets and squares. 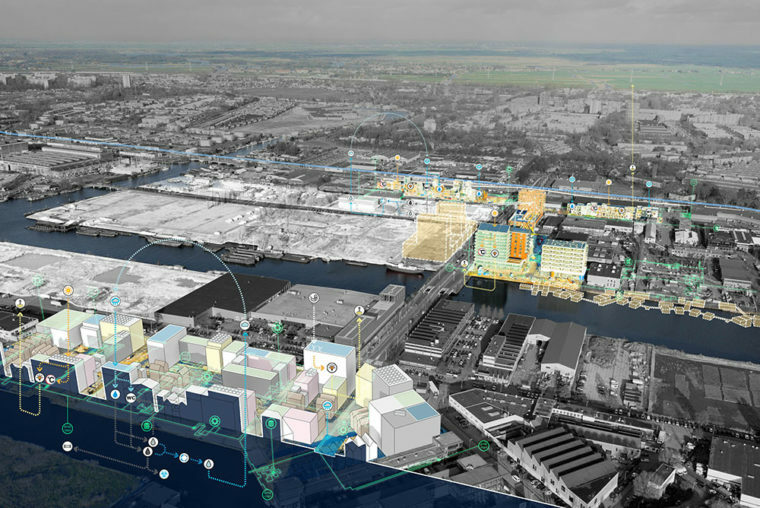 IABR project: Hackable Cityplot, Amsterdam, NL – image Stadslab Buiksloterham Circulair A former industrial site on the north bank of the IJ waterway in Amsterdam is blossoming into a vibrant residential and employment area without a predefined master plan. An example of ‘hackable city-making’, area development in which various parties fill in a framework in a flexible manner. In your ‘curatorial statement’ you argue that designers can play an important role in contributing to the development and shaping of the Next Economy. What, in your view, is that role? Designers are of course not the only ones to shape the Next Economy. But they do play a crucial role in imagining possible futures, and exploring new concepts for that unpredictable future. I often use the word ‘imaginary’. An imaginary is a concept that can guide us in our course of action. The idea of ‘Manhattan on the Maas’, which gave such a huge boost to the development of Rotterdam, and Wilhelminapier in particular, is an example of a particularly strong imaginary. Naturally we should adopt a critical stance towards such imaginaries, but they do offer guidance. They make new futures conceivable. I think that the guiding role provided by the designer is lacking in current urban design practice. For too long attention was given to ‘glamour architects’, and property developers commissioners were the dominant force. But especially now, with the Next Economy in mind, we badly need new concepts, grounded in the changing needs of the city. Precisely because of their imaginative skill, designers can play a key role in this quest. They should be far more aware of that role and should not be fearful of adopting normative points of view. Put designers and entrepreneurs together and they can come up with really creative ideas about how to deploy technology for urban development. Designers can open up perspectives of possible other futures that are perhaps even more attractive. This biennale is thus an appeal to designers to become much more active and normative in envisioning futures that reflect our need for a sustainable, productive and socially inclusive urban world. The role of designers has changed considerably in recent years. Designers do totally different things to what they were trained to do. They are increasingly preoccupied with the ‘balance sheet’ of interventions: how can we make this work financially? Moreover, designers operate in totally new coalitions, with citizens, and in groups where it is not entirely clear who is actually the designer. To me the discourse among City-Makers is a major relief. It has triggered all sorts of initiatives to emerge out of the city itself — initiatives in which designers, entrepreneurs, residents and artists invest a lot of time and energy. These City-Makers encounter all sorts of obstacles, such as costs and regulations, rooted in the old system of city development. On top of that, they have to prove their added value all the time. I think we need a lot more space for experimentation in this area. 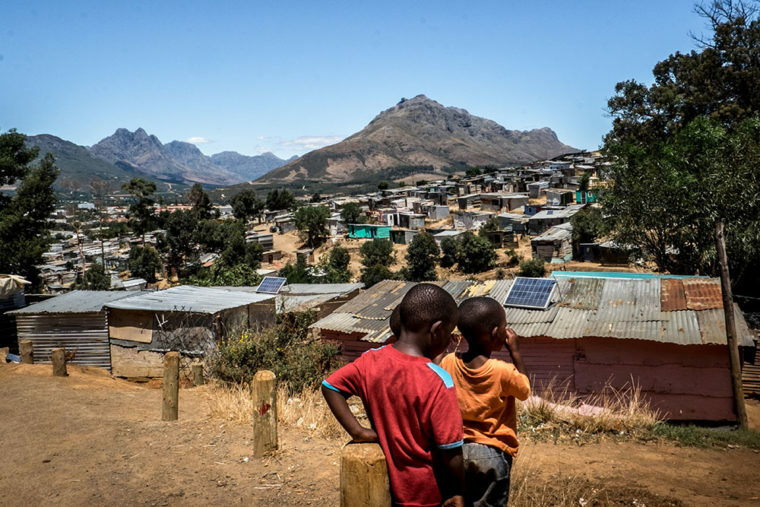 IABR project: Africa What’s Next: iShack2, Kaapstad, Zuid-Afrika – photo Megan King Communal energy supplies ensure social progress in the informal settlement of Enkanini in Stellenbosch. A biennale brings together a motley collection of projects, both Dutch and international. What are your favourites? And how can practice in the Netherlands learn from elsewhere? 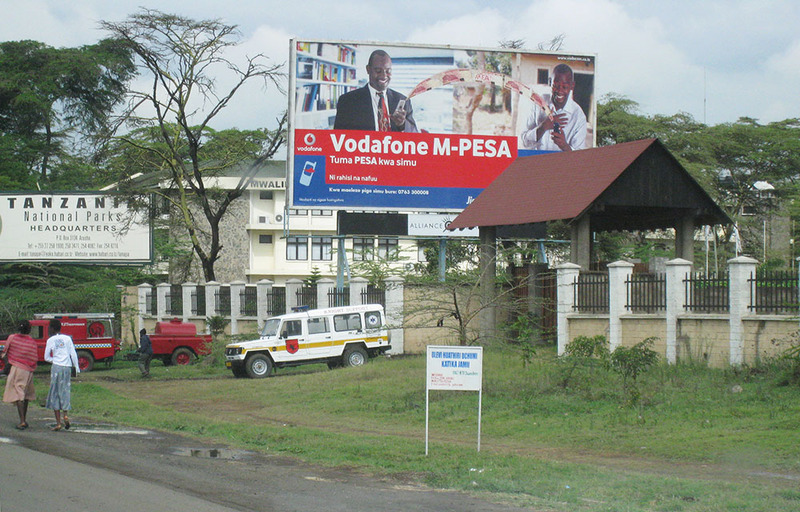 One of my favourite projects is M-PESA from Kenya. Fixed land lines are lacking in informal city districts, so people there mostly use GSMs. To bypass the failing banking system and boost customer loyalty, telecom company Safaricom came up with a system that allows customers to use their telephone for banking. The phone can be used to lodge salaries, transfer money and even save money. It proved a huge success. Then they started to offer health insurance, also through ‘call credit’. They quickly sold no fewer than 50,000 policies. Thanks to M-PESA, people living in informal districts now have the possibility of setting up businesses, investing and improving their living environment. So it’s a wonderful example of how technology can contribute creatively to the emergence of sustainable and socially inclusive cities. And there’s more from Africa. We’re even devoting one entire exhibition to Africa. Amazing things are happening there in terms of urbanization – in both a positive and a disturbing sense. Though the African context differs fundamentally from the Dutch one, some things can be learnt from projects of this kind, especially in terms of how you deal with the informal side of the city and the economy. Plenty of people in the Netherlands also struggle to set up new businesses. And I’m not talking about well-educated people and highly valued start-ups. I mean men and women from underprivileged neighbourhoods who have difficulty in taking that first step with their own business. The Afrikaanderwijk Cooperation in Rotterdam has found a way to enable people take that first step. That project is also included in the biennale as an example of the potential value of the informal economy to our cities. Such a thing as ‘globally networked urbanism’ seems to have emerged in recent years. I’m referring to projects that have a totally local dimension and, at the same time, are connected to a huge international network. The designers behind this type of urbanism are internationally educated but consciously choose to operate very locally – in Rio de Janeiro, Lagos, Jogjakarta. One of the strengths of the biennale is that it offers an international platform for the exchange of innovative ideas about sustainable urban development. I hope to bring these people together during the biennale, not so much during the opening weekend but during the later theme sessions, so that we can inspire one another and share experiences. 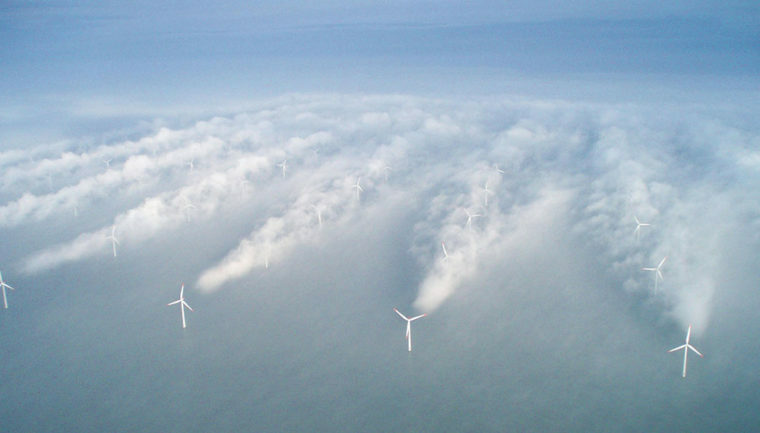 IABR project: 2050 An Energetic Odyssey – photo Christian Steiness Offshore wind farm, Horns Rev (Denmark). Can the North Sea play a key role in energy transition by generating wind energy on a very big scale for the surrounding countries? What will make the biennale a success for you? The IABR is traditionally a research biennale. It’s about posing questions. This year we want to provoke debate about the Next Economy. About how we can stimulate the local economy, and what the implications are for the built environment. My role as curator is not to show people what the Next Economy is. That would be impossible anyway. We have to research the Next Economy and reflect together on new concepts for innovative, climate-neutral and socially inclusive cities. During three months of exchanges, exhibitions and events, we challenge visitors to actively contribute to this search. That’s why we’ve reserved space in the programme for improvised, ad-hoc sessions devoted to themes that only surface during the biennale. Moreover, we have arranged the space of the former warehouse Fenixloods II, where the biennale takes place, in such a way that it stimulates debate, by placing an auditorium in the centre. By choosing the Fenixloods, we hope to draw not only the expected visitors but also people who have discovered Katendrecht and are interested in the new developments in the city, and who may not be familiar with the IABR itself. For me, the biennale will be a success if we manage to give a positive twist to the wider social discussion about the future of our cities. Much of the social debate at the moment has a negative focus – people talk about decline, the loss of control. At the same time, people have an enormous desire to put forward positive ideas. We want to contribute to the formulation of positive ideas about the future. And the imagination of designers plays a key role in that endeavour. Beitske Boonstra is an urban designer and planner. She works as a researcher at the department of mobility and physical planning at Ghent University, specializing in self-organization and the interaction between citizen initiatives and spatial planning. IABR­–2016 The Next Economy from 23 April until 10 June 2016. For details, see the IABR-website.